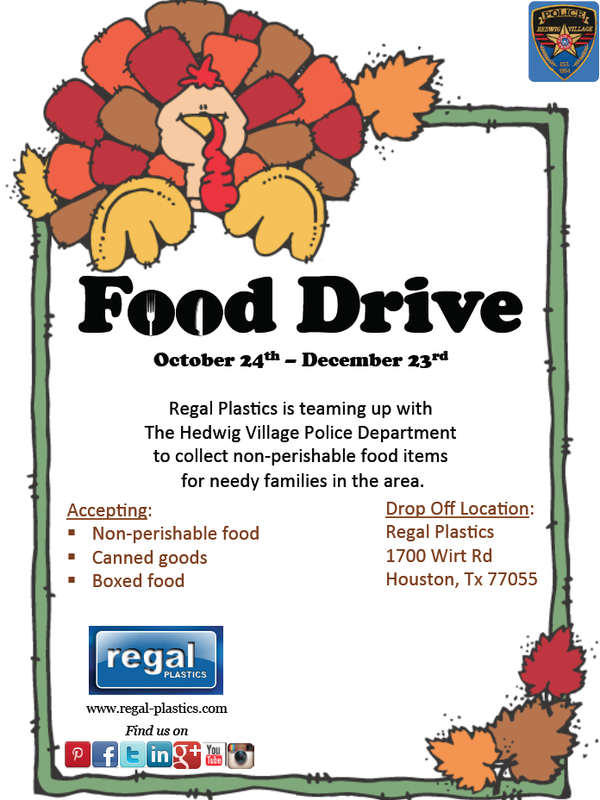 Regal Plastics Houston partnered with the local police department to collect food for needy families in the area. With the holidays approaching, we wanted to find a way to give back to the community. The Hedwig Village Police Department conducts a canned food drive every year. We will take the donations we receive to the police station where they will distribute the goods to those in need. In the Houston area? Stop by our location and drop off your canned goods.